Online: The agent is available to take calls. Talk can route calls to the agent. If the agent doesn't answer, Talk routes the call to the next online agent. Offline: The agent is offline and Talk will not route calls to that agent. Note that Talk does not automatically set agents to the Offline state. However, admins can set an agent to offline in the Talk dashboard. Away: The agent is currently not available to take calls; for example, they could be on a break. These calls will go into the queue for an agent who is available to answer. Setting your state. Previously, agents used a toggle switch in the Talk console to set their state to Online or Offline. When the Away state is introduced, the toggle switch will be replaced with a drop-down list containing the available states. Outbound number drop-down list. 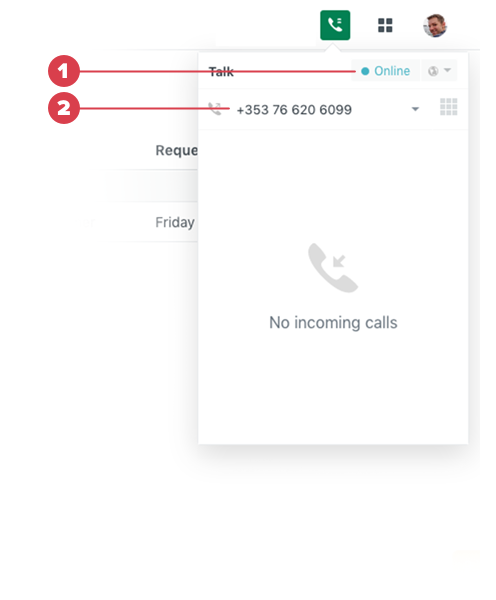 We've moved the location of the outbound number to the bottom of the Talk console. Transfer. If an agent's state is Away, you cannot transfer calls to them. In the example below, you are trying to transfer a call to Sally. The orange dot next to her name indicates she is away, and you cannot transfer the call. *System generated, meaning these states are set automatically when a call is answered or completed. Additionally, the Total Online Time metric will now include online time plus away time. How does the new away state change the agent workflow? As an agent, if I am in the Away state, incoming calls will be added to the queue. In a scenario where all agents are in the Offline state, incoming calls will be routed to voicemail. In a scenario where all agents are in the Away state, incoming calls will continue to be queued. The values you’ve set for maximum queue size and maximum queue wait time behaviour will be in effect. Can I turn off the Away state? No. The Away state will always be visible and available for all agents to use from the Talk console. How can I get ready for this change? Training and enablement: Ensure your agents are aware that a new state is coming as they will see it in the Talk Console drop-down list once it goes live. Familiarize yourself with the Away state metric on the Talk dashboards and the stats API. Are there any changes to the public APIs? All existing APIs will work as they do today so none of your reports will break. From the day of launch, you’ll be able to report on the agent away time from Stats/Agent Activity. Deprecation will begin 3 months after launch date. Will the Away state data be available in Explore and Insights reports? No. Agent level data such as agent states is not currently sent to Explore or Insights. When can I start using the Away state? We plan to roll out this feature week of March 4th 2019. On the day of launch all agents will be greeted with an in-product message, the first time they change their Talk state. The in-product message will be split over two steps which highlights the new Away state, its possible uses and how it differs to offline. Once the agent has clicked through the two steps they will not see the message again and they can go about their usual workflow. Great update! It would be great if we could add an auto-away feature as well, a common issue that we ( and I'm sure others) face is agents sometimes forgetting to put themselves offline, and keeping them in the queue. If an agent misses x amount of calls they should automatically be placed away and out of the queue. I second LaKell's comment as well, it's definitely a pain point. Optionally, if there was an easier way to see the Talk Dashboard within Support then this would be useful (i.e. so all agents can easily see status without toggling). I third LaKell L.'s comment. A missed call should instantly push the agent into an Away status. In addition, we absolutely NEED total Online Time and total Away time as a reporting metric in Gooddata to hold agents accountable. Will you please, please consider making it possible to transfer calls to agents that are "Away", so that this can compensate for the fact, that you cannot transfer calls to agents that are "Offline"? I know we are not the only company looking for the possibility to transfer calls to agents, who are not active in the queue. This could be the solution. Please, let it be. +1 to Kasper's point - this is something that would be great to have a checkbox setting for "Allow transfer to Agents with status: Away". Thank you for the kind feedback and suggestions for feature improvement, it’s much appreciated. 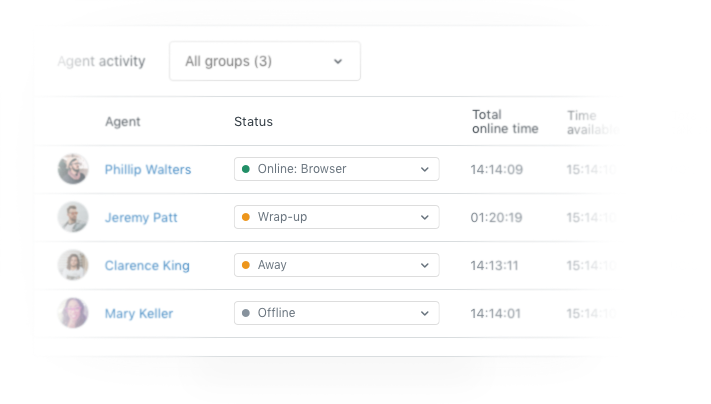 The discussion regarding an admin configurable auto-away feature capability is something we’ve heard and will take on board. The Away state has been designed for agents that are currently not at their desks. It was not designed in mind to be a solution for call transfer. We prioritised the Away state ahead of a Transfer state. For Transfer, the workaround is to set the Agent’s status to Online and exclude them from groups that calls are routed to. As you know we do not currently send agent data detail to Insights or Explore. In future we do want to show agent level data in Explore, we are in active discussions as to how we can get there. @Robert - Thank you for your transparent response. To piggyback on this discussion, I wanted to say that I see this new "Away" state as an opportunity in the future to have the Chat product speak to Talk so that if an agent is "Online" for both phone and live chats and they serve a new chat message, then their Talk status is automatically set to "Away" (rather than having the agent remember to do this manually). Thanks for the response. I hope you know, that the transfer workaround isn't really a viable solution, as it would leave us having to switch agent groups multiple times during the day. Agents can't do this themselves, so we would have to have supervisors on the floor at all times to switch groups when necessary. 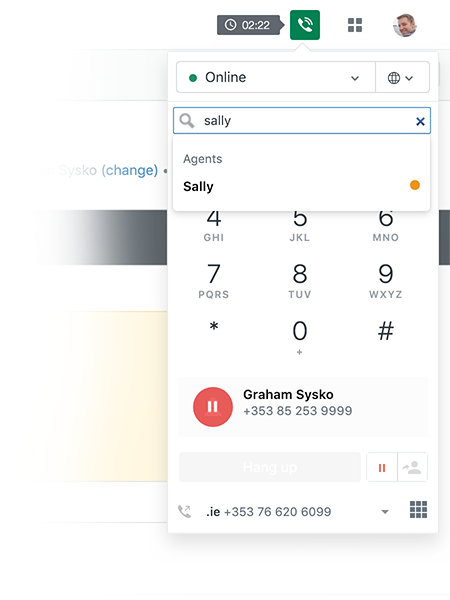 This workaround only functions well if you have a group of team leads / supervisors / 2nd level something, which you need to transfer to every once in a while, but who are not taking calls from the queue. It does not work for transferring to agents, who are taking calls from queue some periods of the day, and other periods not. 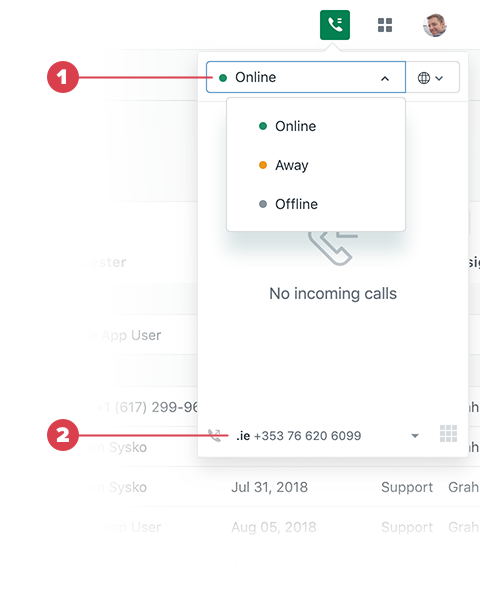 We also desire some kind of auto-away feature, whether that triggers automatically when the account is locked or the computer becomes unresponsive for example - in addition to missing X number of calls. This is a great additional feature, thank you Zendesk. I also, second A.J. Bouchard suggestion, this is a feature that we would love to see introduced. This is a great enhancement. I've managed call centers for many years and find it extremely challenging to manage staff with only two statuses. I also agree with Aron Spegon: we absolutely NEED total Online Time and total Away time as a reporting metric in Gooddata to hold agents accountable. So we have 4 groups/teams and 4 numbers and are 24/7. Callers select a topic, and it routes to that group. If no one from that team answers or is online, we have a 5th overflow group that is EVERYONE is in. If everyone from a group is Offline, calls currently go to the overflow group. If everyone is now on Offline OR Away, will they still go over to the overflow group? Or will they stay queued in the original group's queue until the max wait time? Is it in the works to send agent states for available and away to insights? This is a really great feature and seems a bit odd that we would not be able to pull reports for this. Second Veronica's request. It's a bit silly you can't report on how long agents spend out of the queue. This is a great step, and definitely one of the pain-points we had. Are there any plans to add custom statuses? With our current system we have statuses of "Working on Project" and "Lunch", so that at a glance we can see WHY an agent is away. Being able to add custom statuses (even if the function is the same as "Away", just with custom text and custom # of statuses) would be great for us, and I'm sure plenty of other companies. Agree with Michael's point above, it would be great to be able to add custom statuses. Hopefully, this is the next step. 2) Can you be transferred calls while set away? Again, assuming not, but want to be sure. Curious if others would use "Away" for lunches and breaks of if "offline" is what you would still use. I also have reps who are taking only chat and emails so they go "offline" which seems odd because they are still working so perhaps "Away" would be better but for lunches and breaks...it would be great to have that defined. I'm sure I can work it out anyway I want but just curious what others are considering. Adding to Melissa's analysis I'd say that "Not Available" is what most people ask for. Honestly, this status would make the sole difference of telling the team: "it's worth waiting until this agent will be back", so "Do not disturb" could be the real meaning, too. Hi, could we not have the "Total Online Time" metric to include "Away Time" please? I think the whole premise for having a separate "Away Time" status, is so that we could separately extract reports that measure "Away Time" on its own. 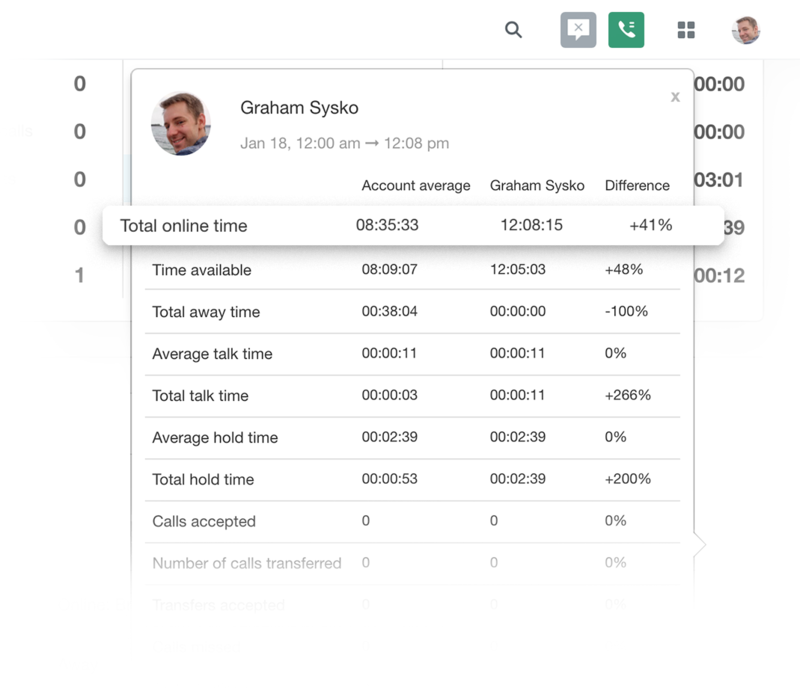 It would be nice to have a separate column in the Talk Dashboard that simply displays "Away Time". Is this something that Zendesk can easily build into the Talk Dashboard?